Most pet owners think their pet is the best. The cutest. The most adorable. The most personable. I am, of course, no different. 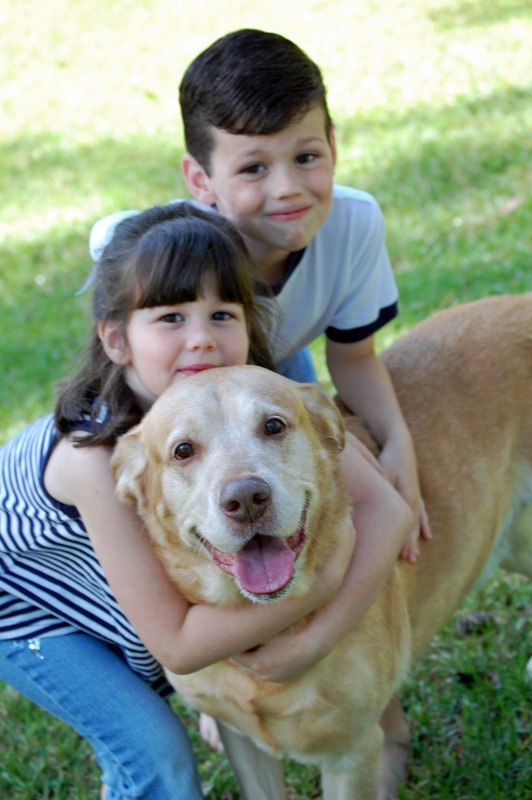 In our home, Mason and Mabel provide sympathetic comfort, fierce protection and comic relief. Actually, Mason takes charge of the first duty, and Mabel sees to the latter two items. But I digress. 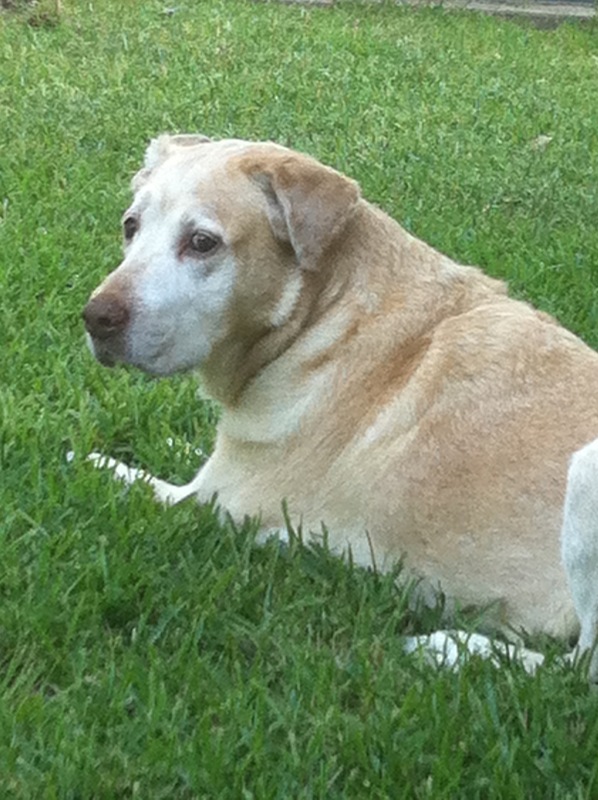 Mason was chosen from a litter of free full-blooded Labrador retrievers in Benton, Louisiana. (“Free” because his mama’s owners were divorcing and hell-bent that neither party would profit from the puppies.) He was one of two yellow males in the litter. We picked him because while his brothers and sisters were gnawing on each other and brutally stepping on each other’s faces, Mason took every opportunity to worm his way to the bottom of the puppy pile. I knew instantly he was a snuggler. And that he was mine. We painted his toenails fuchsia to claim him as “sold” and left him with his mama just a week or so more. On November 14, 1999 we brought a five-week old bundle of yellow, snugglable joy to our tiny apartment, just two weeks before we would move into our first house. 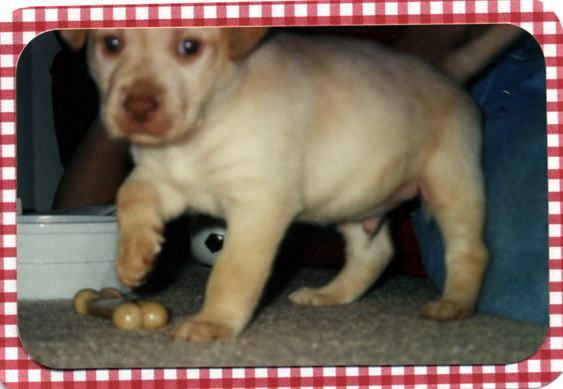 Mason was a typical puppy. He loved chewing his toys. He loved chewing my shoes. He loved chewing our satellite TV remote controls and costing us a bloody fortune. He chewed five cabinet doors, three sofas, and one baseball-size hole in the garage wall. He was spoiled rotten, one time barking at the ceiling fan because it wasn’t on (as he lay sprawled across our bed) and he was apparently too warm for his personal comfort. Just four weeks after bringing Mason home we learned that I was pregnant with our first child. Mason was a wonderful companion during the sofa-rest days at the end of the term, laying beside me on the couch and gently resting his head on my oversized belly. I knew he sensed what was going on. I told him over and over again, “You have to protect this little guy and be his best friend, okay?” His eyes and tail would answer enthusiastically. Anxious about childbirth and motherhood, I would snuggle with Mason and tell him all the things that worried me. One afternoon I cried for half an hour because I could not imagine how in the world I would love my child as much as I loved Mason. He was my first baby. And although I knew I was being ridiculous, the tears flowed freely. 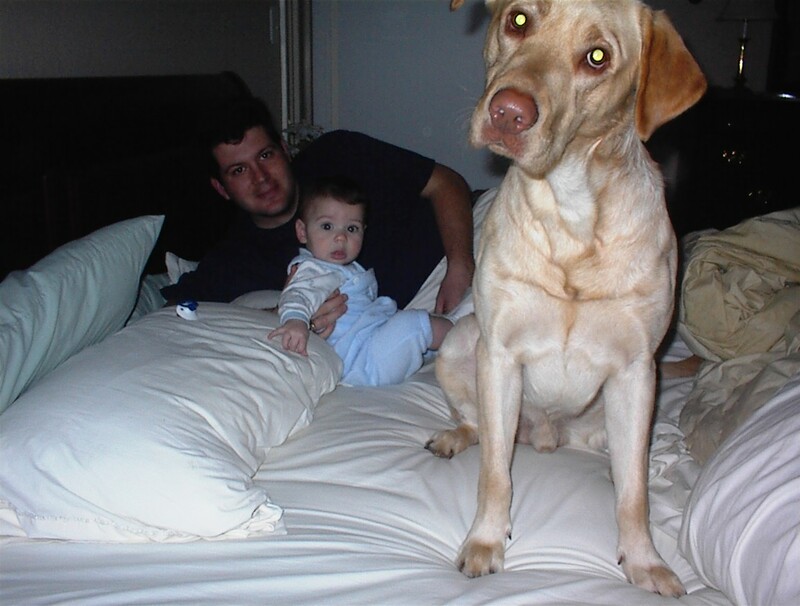 For eleven years (until he could no longer jump up on his own) Mason slept in the bed with us…with his head on my pillow. He would curl up on my side of the bed while I took my makeup off and brushed my teeth. He was incredibly warm-natured, and we referred to him as “The Heater,” because I could always count on him to warm up my side of the bed. Then, I would make him move so I could lay down, and we’d call him back up between us by chanting, “Monkey in the middle!” Mason would put his back against me, nuzzling the top of his head just under my chin. My arm would wrap over his body and under his front leg so that my hand could rest in the thick fur at his neck. He was my 88-pound security blanket. The squirrels in the back yard were given the same courtesy. Upwards of ten squirrels would be playing in our yard when I would open the door to let Mason outside. They would all freeze in position and look toward the door. Then it was as if they realized, “Oh, it’s just Mason!” and they would carry on like no one was there. Mason had no interest in being territorial. Sometimes he would lay in the grass and just watch the squirrels play. Our next door neighbor would often come to the fence to pet Mason, once while holding a new kitten in her arms. Mason jumped up and enthusiastically slurped the kitten across the face, completely soaking the freaked-out cat. Although he good-naturedly enjoyed life around him, Mason loved two things with absolute unbridled passion: my best friend/sister-by-choice, Stacey, and the flashlight. Stacey used to joke that she and Mason must have been lovers in a past life because Mason could not stand to be more than two inches away from her during her visits. As for the flashlight, whenever we would extricate Mason from the middle of whatever project involved the beaming tool and set it on the counter, Mason “went to Temple,” sitting in front of it, staring patiently in statue-like worship, waiting for the light to come to life and do its magic once more. When Mason was five years old we discovered that he had food allergies. We changed his food to a grain-free, dye-free, artificial-ingredient-free, expensive-as-all-get-out dog food, and nixed the PB&J sandwich crusts and McD’s French fries from his diet. And he rocked on. (Though I learned later that the kids would still sneak their crusts to him!) However, ear problems plagued Mason like nothing else. Those soft, floppy ears would get bacterial infections just about every time it rained. 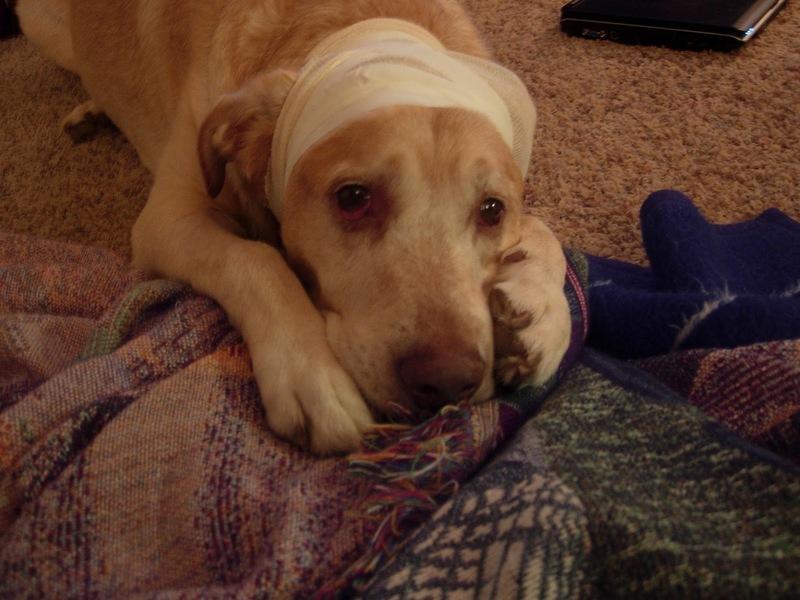 Mason despised his routine ear cleanings. All we had to say was, “How are the ears?” and he would duck his head and slink out of the room. The frequent infections earned him the nicknames “Funkmeister” and “Funky Monkey.” The biggest problem with the infections was the force with which Mason would shake his head. We always worried that he would burst blood vessels in his ear, and then one day, he did. I reached out early one morning to stroke his ears and felt a huge bulb under the fur. Mason’s ear looked just like a sopapilla! It required surgery, and he took every opportunity to look pitiful and elicit sympathy for the injustice he had suffered. I firmly believe that the love Mason gave and received combined with the dietary choices we made for him kept him healthy and happy for a much longer time than we might have been originally allotted. 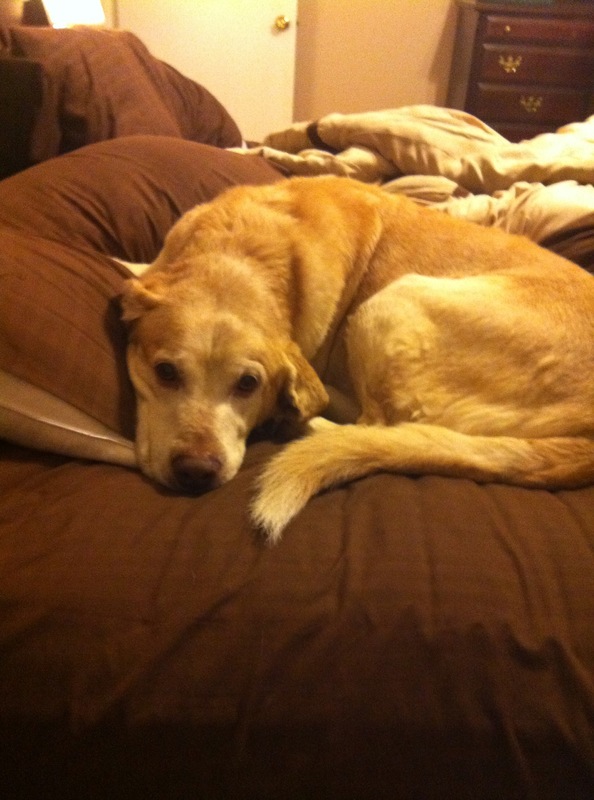 A little over a year ago, our veterinarian diagnosed him with an enlarged esophagus and a potentially enlarged heart. But we already knew he had a big heart. We were fortunate enough to be held within it. For fourteen years Mason has been a source of soft and cuddly comfort in our home. My children have not known a single day without him. Dom and I fell so hard in love with this creature that we do not want to know a day without him. But now we must. We never wanted Mason to suffer. As we watched Mason age and struggle with the effects of being an elderly large-breed dog, Dom would frequently ask me, “Is it time?” and I would always answer, “No, not yet.” I reasoned that as long as Mason still looked happy, as long as he could get himself where he needed to go, and as long as his tail still wagged and ears still perked up when he saw us, that it would not be time. But the day came when Dom once again asked if it was time, and my heart broke wide open as I finally said, “Yes.” Quality of life is more important than quantity, and Mason gave us more quality than we could have imagined possible. We chose to take Mason to the vet for the final time during the first week of summer when Dom and I were both off work and could be with the kids and Mabel for the whole week as we adjust to life with one less heartbeat in our home. I held Mason close in the back of my van and stroked his ears as he drew his final peaceful breath, whispering to him that I loved him and that I would see him again, because no Heaven of mine will be complete if he is not there. Dom laid Mason to rest in the backyard in the spot I picked out while we were building our house. He rests now between our lounging swing and a crepe myrtle, within arm’s reach from where I will spend my time relaxing, just as if we were enjoying any normal day, with him curled up at my feet. As I searched for the perfect words to express how I feel today, I came across this quote from Winnie the Pooh: “How lucky I am to have something that makes saying goodbye so hard.” (A.A. Milne). 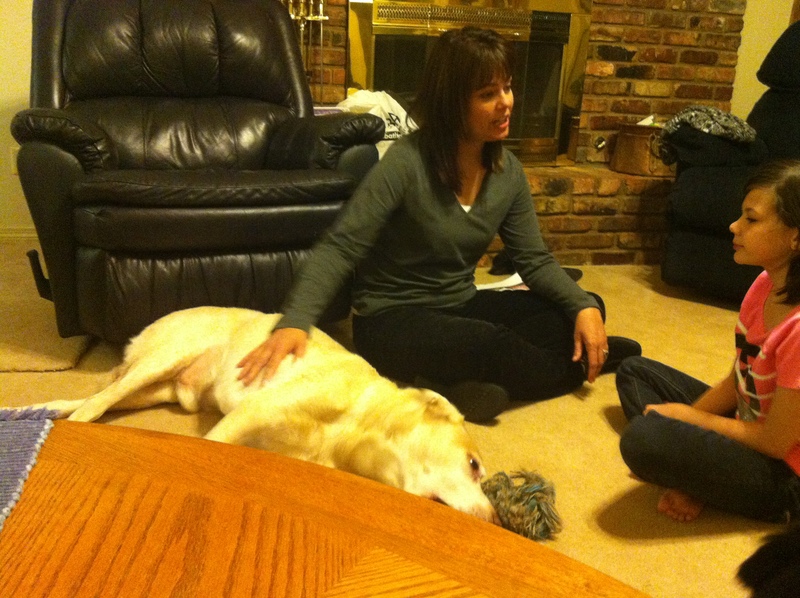 Thank you, Lord, for blessing us with this gentle giant and his big yella heart. What a beautiful tribute to a beautiful heart. As lucky as you guys were to have him, he was equally lucky to have you. I love how you chose his burial spot. Hugs.